SETTING AN APPOINTMENT IS FREE. The Consular Section of the Royal Thai Embassy discourages applicants from securing online appointment through fixers. is at your own risk and expense. Please be informed that now the applicants can cancel their appointments in "My appointment(s)" section. However, many applicants have made a short notice cancellations which affects other applicants who really need to apply for a Visa. Therefore, a new cancellation policy is set for every appointment cancellation, it will be subject to 10 days suspension. Please be informed that now the applicants can cancel their appointments in "My appointment(s)" section. However, many applicants have made a short notice cancellations which affects other applicants who really need to apply for a Visa. Therefore, a new cancellation policy is set for every appointment cancellation, it will be subject to 10 days suspension. 3 Easy Simple Steps to book your Appointment. (A). Sign Up for an Account. (B). Select the date and time. (c). Read the disclaimer and Confirm. How to get to the Thai Consulate Vientiane? 8. Other documents: as may be requested by Consular officers in addition to the documents above. Please note that Consular officers reserve the right to require additional documents, or an interview with the applicant, as deemed necessary, without prior notice. Those who wish to stay longer or may wish to change their types of visa must file an application for permission at the Office of Immigration Bureau located on Government Complex Building B, Chaengwattana Road, Laksi, Bangkok 10210, www.immigration.go.th Extension of stay as well as change of certain type of visa is solely at the discretion of Immigration officers. Nationals of certain countries are required to apply for a visa only at the Royal Thai Embassy or Royal Thai Consulate-General in their home/residence country or at the designated Royal Thai Embassy. Therefore, travelers are advised to contact the nearest Royal Thai Embassy or Royal Thai Consulate-General to find out where they may apply for a visa to Thailand before departure. 1. Single-Entry Tourist Visa is valid for entering Thailand once within 3 months from the date of application. The period of stay is 60 days maximum. 2. Multiple-Entry Tourist Visa is valid for entering Thailand within 6 months from the date of application. The period of stay is 60 days maximum per stay. The Multiple-Entry Tourist Visa holder may enter Thailand again as long as the visa is still valid. 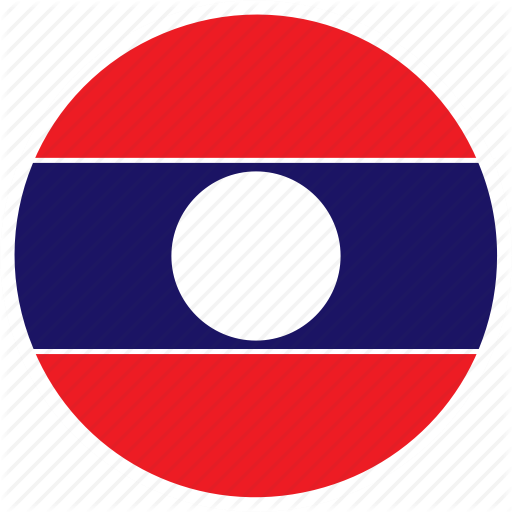 Multiple-Entry Tourist Visa will only be granted to Lao nationals or those with proof of permanent residence in Laos. 7. Other documents: as may be requested by Consular officers in addition to the documents above. Please note that Consular officers reserve the right to require additional documents, or an interview with the applicant, as deemed necessary, without prior notice. Travelers coming to Thailand with this type of visa will be permitted to stay for a period not exceeding 60 days. Those who wish to stay longer or may wish to change their types of visa must file an application for permission at the Office of Immigration Bureau located on Government Complex Building B, Chaengwattana Road, Laksi, Bangkok 10210, www.immigration.go.th. Extension of stay as well as change of certain type of visa is solely at the discretion of Immigration officers. Non-Immigrant “ED” Visa may be granted to applicants who wish to pursue their full-time education, internship or any other educational programs in Thailand. 7. In case of internship, an original letter from the university at which the applicant is enrolled. Parents of students (under 20 years old) who have enrolled for a full-time long-term educational course in Thailand are eligible to apply for Single-Entry Non-Immigrant “O” visa. Required documents are the same as required documents for Non-Immigrant “ED” visa with an addition of Marriage Certificate and Birth Certificate and a proof of additional 500,000 baht (or equivalent) deposit in a bank account per parent. A civil partnership certificate is not acceptable. This is not applicable in the case of informal courses, e.g. Thai language or cultural training courses. Dependents are not eligible to work in Thailand. 9. Other documents: as may be requested by Consular officers in addition to the documents above. * All letters must have the letter head of their respective agency/school/institution/company and be signed by authorized persons. ** All copies of the agency/school/institution/company’s documents must be signed by authorized persons and have respective seals/stamps. PERIOD OF STAY The holders of this type of visa are initially granted a period of stay in the Kingdom not exceeding 90 days unless otherwise instructed by the Office of Immigration Bureau. Documents in languages other than Thai or English must be translated into either Thai or English and notarized by notary organs or relevant diplomatic/consular missions. The Royal Thai Embassy, Vientiane can issue Single Entry Non-Immigrant “B” Visa. •	Applicants who previously obtained the Non-Immigrant “B” visa are obligated to present their original work permit or its notarized copy of such documents to the Royal Thai Embassy. •	An original letter of acceptance from employing institution or school in Thailand. •	An evidence of educational qualification such as diplomas or teaching certificates. •	A school license or business registration, list of shareholders and school profile. •	The applicant must be approved by the Ministry of Foreign Affairs, Thailand, prior to application for a visa. •	In addition to the aforementioned documents, the applicant will be issued with Non-Immigrant “ED” visa. Applicant’s family members: spouse, parents or children who are unmarried and under 20 years old, are eligible to apply for Non-Immigrant O visa. 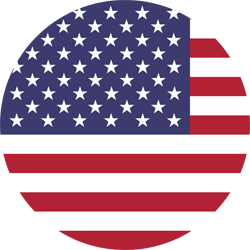 Required documents are the same as required documents for Non-Immigrant B visa with an addition of the marriage certificate and birth certificate. * All letters must have the letter head of their respective agency/school/institution/company and be signed by authorized persons. s.
Please note that Consular officers reserve the right to require additional documents, or an interview with the applicant, as deemed necessary, without prior notice. •	A copy of the Thai work permit or student identity card. •	In case of spouse is working with a company under the BOI promotion, an original letter from BOI requesting for visa issuance is required. •	An application has no prohibitive diseases (Leprosy, Tuberculosis, drug addiction, Elephantiasis, third phase of Syphilis) as indicated in the Ministerial Regulation No. 14 B.E. 2535. •	In case of an accompanied spouse is not eligible to apply for the “O-A” (Long Stay) visa, the spouse will be considered for a temporary stay under “Non-O” visa. A marriage certificate must be provided as an evidence and should be notarized by notary organs or a diplomatic or consular mission. 5. Other documents: as may be requested by consular officers in addition to the documents above. 1. Why does the Embassy need the Visa Application Appointment System? The number of visa applicants at the Royal Thai Embassy, Vientiane has increased significantly in the past years. 2. When can I access the Visa Appointment System? The System will be activated online from 30 January 2019 onwards. 3. Will the Embassy still accept walk-in applications? From 1 February 2019 onwards, applications for certain types of visas will require appointments via the online System prior to the submission of the applications together with all necessary documents at the Consular Section while walk-in applications for other types of visas will still be accepted. 4. Which are the types of visas that require online appointments? 5. On which platform is the Visa Application Appointment System available? The System is a web-based application which can be accessed by a computer or a smartphone that has an internet connection. 6. How long in advance can I schedule a visa appointment? 7. What is the appointment cancellation policy? The System will not allow cancellation to be made less than 24 hours prior to the existing appointment. No-show will prevent you from scheduling another appointment for one month. 8. What are the hours for scheduling appointments? The system is available online for scheduling appointments 24 hours a day. However, you cannot schedule a same-day appointment; the system will have a cut-off time for a same-day appointment at 12 a.m.
9. Can other persons schedule an appointment for me? Each applicant must create a personal account with personal information before scheduling an appointment. The Embassy therefore suggests that you should schedule an appointment by yourself. 10. Which personal information do I need to fill in online to create my personal account and schedule an appointment? 11. Do I need to upload documents online? No, the online Appointment System is for queuing purpose only. You do not have to upload any documents online. 12. When should I come to the Consular Section on my appointment date? You should come to the Consular Section 30 minutes prior to your appointment time so that you can prepare the application and necessary supporting documents. 13. What do I need to show as a proof of appointment? You can print out the appointment confirmation and show it at the Consular Section for verification. You can take a screenshot of the appointment confirmation on your smartphone and show it at the Consular Section for verification. 14. Do I still need to fill out the visa application form? Yes, you still have to fill out the visa application form by yourself. It is advisable to fill out the form prior to your appointment to reduce the application submission time. 15. Where can I get the visa application forms? 16. Does the Embassy have an Express Visa Service? No, the Embassy does not offer an Express Visa Service. The Embassy has no affiliation with any persons outside the Embassy nor with any tour agents you hire for transportation and accommodation services. 17. How long is the visa processing time? The visa processing time for the Royal Thai Embassy, Vientiane, is two working/business days. You can collect your visa on the next day (approved or not approved) after submitting the visa application. 18. When do I pay the visa fee and what form of payment does the Embassy accept? You are to pay the visa fee when you collect your visa. The visa fee must be paid in cash (Thai baht) only. 19. What is the business hours for visa application? Payment and collection: 13.30 p.m. - 16.00 p.m.